Gardai have launched a murder investigation after a man in his 30's from Nurney passed away as a result of stab wounds inflicted on him in the early hours of this morning. 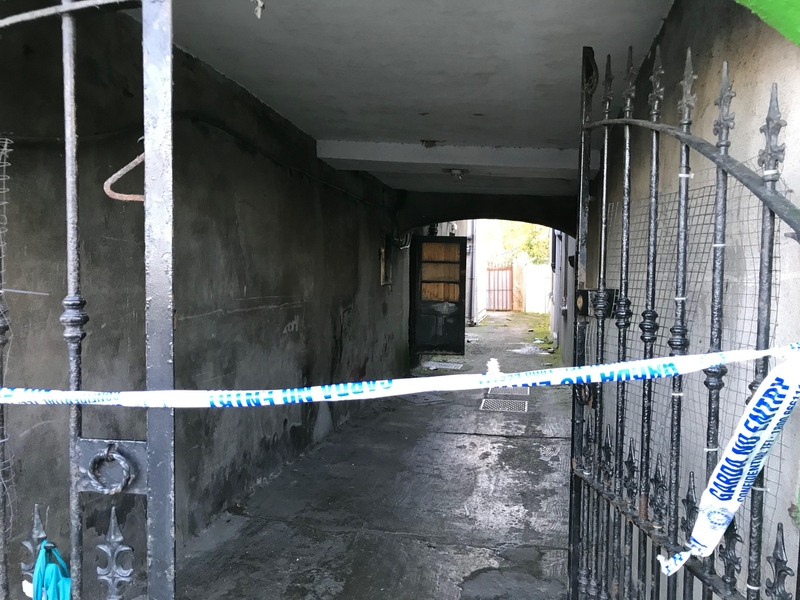 Superintendent Martin Walker said at a press briefing held in Athy at 4pm today that gardai were called to the scene at Duke Street at 5.45am this morning where the victim was found with multiple stab wounds. He said that there appears to have a been a row in the vicinity but added that the investigation is still at an early stage and gardai are currently following several lines of inquiry. He was taken to Portlaoise Hospital in critical condition and died earlier today from his wounds. Superintendent Walker would not give out the name of the victim but said that he was from Nurney. The deceased's car was found burnt out in Woodstock Street. A sliver Audi pictured below was taken from the scene at approx 5.30 am by a person or persons unknown to gardai. It was brought up to Woodstock Street where it was burned out. 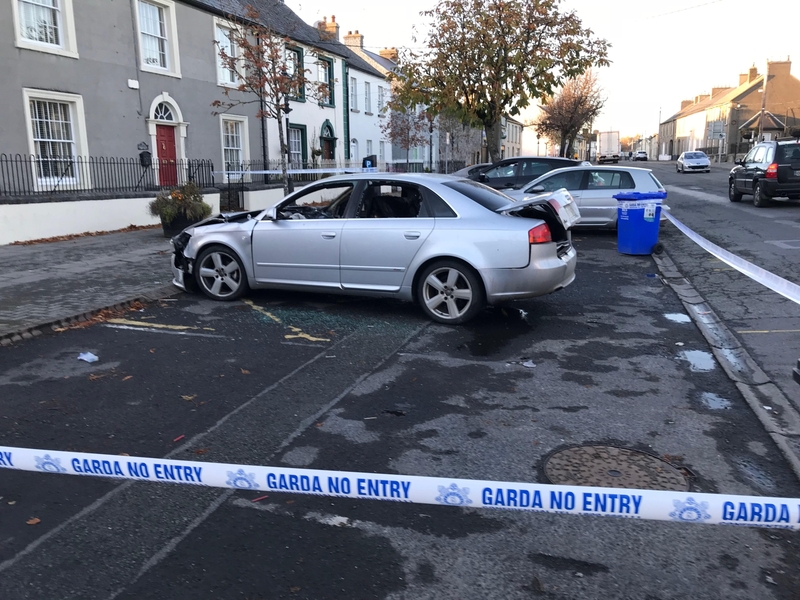 Gardai are appealing for anyone with any information about who was driving the car from the scene of the murder to where it is now to come forward. Superintendent Walker confirmed that there was a house party in the local vicinity but there is no information to suggest that the deceased was at the party. He was not known to the gardai prior to this incident and he comes from Nurney. He said that he suffered a 'multiplicity'of stab wounds. There were a group of young men in the vicinity where the stabbing took place (see below) who quickly left the scene. Gardai are in particular appealing to those young men to come to engage with them and to explain what they were doing there at the time to aid their investigation.